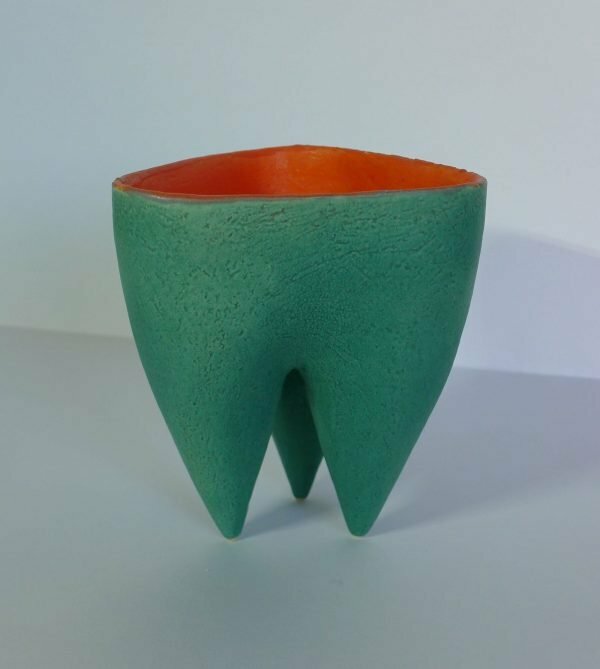 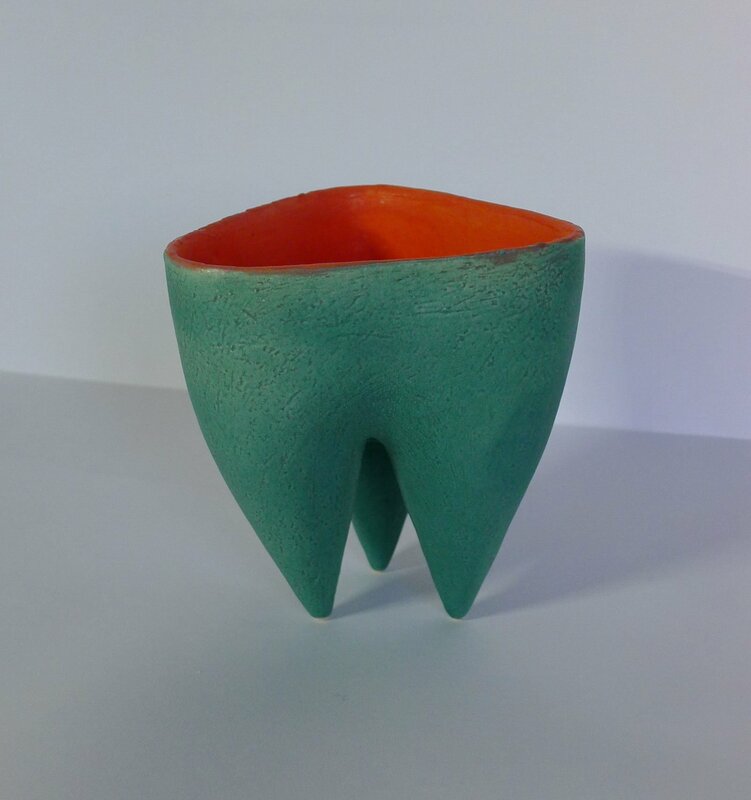 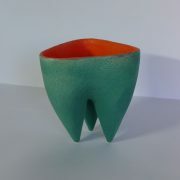 Tripod in Green and Orange Glaze. 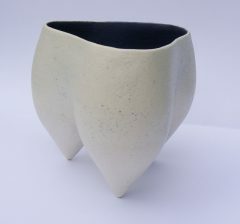 Tripod pot handbuilt using coils and slabs.Fired to Earthenware and glazed. 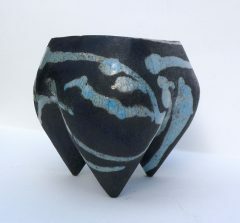 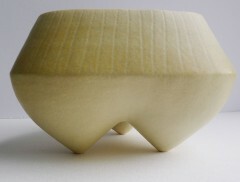 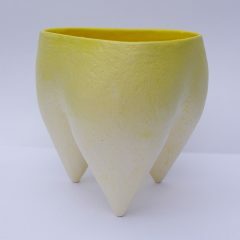 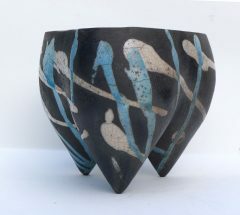 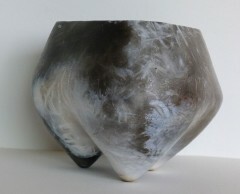 As this piece is hand made, it takes time to make unlike a pot that has been thrown on a wheel.